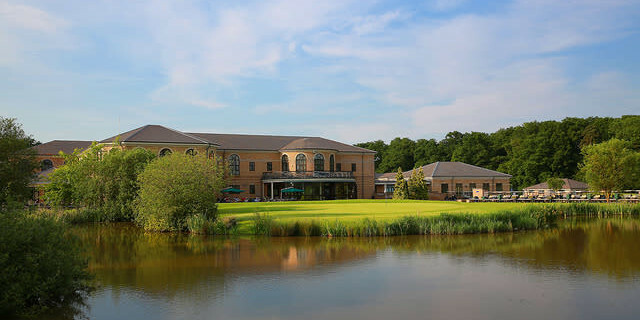 The four-star Belton Woods hotel, in Grantham, is the perfect location for a golf break, a romantic stay or a family getaway. The hotel is conveniently located just minutes from the A1, less than an hour’s drive from East Midlands Airport and one hour by rail from London’s Kings Cross. 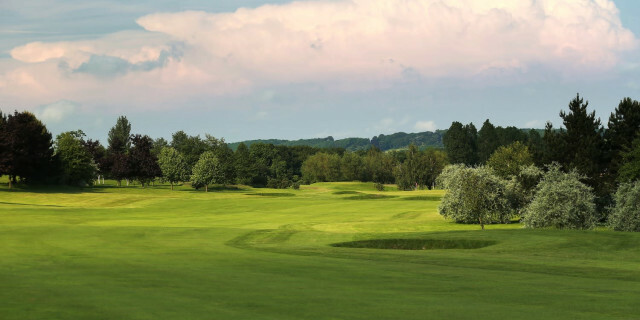 In addition to the hotel, spa and a wide range of activities, Belton Woods features two golf courses - the Lakes and Woodside. The current Golfshake Rating is 4.44 with 97% of those visiting recommending a return visit for themselves or a friend. This qualifies as a Highly Recommended venue. It was easy to see why. This course features water heavily and it impacts visually and practically on a number of the holes. A conservative strategic approach would definitely pay dividends. Given that this course recently hosted the PGA 2018 Fourball championship the greens were in excellent order. Some 60,000 rounds of golf are played at the facility annually but the greens do not reflect this. they are in good order. 4th Hole, Par 4, 404 Yards. Bunkers and a lateral ditch bisect the landing area for most golfers making this an interesting challenge off the tee. A carry of 253 yards is required to avoid the water but a bunker lays strategically right to catch a slightly miss-hit shorter ball. A ditch boundaries the entire left side with bunkers protecting the green complex short right and left. 6th Hole, Par 4, 424 Yards. Another interesting hole with bunkers placed opposite each other from 200 to 220 yards providing a clear pinch point for any slightly miss-hit drive. Lay up short and most golfers will fail to have the firepower to reach a very small and incredibly well protected green complex. A par achieved here is a good score. 10th Hole, Par 4, 364 Yards. This is relatively open off the tee encouraging the use of a driver. However, this then brings in a host of challenges as again the green is a very small one surrounded by water on all sides. 13th Hole, Par 4, 422 Yards. This is a nicely framed hole by hedgerows and trees. No water is visible but it still requires a steady tee shot as the fairway around the standard landing area is very pinched and protected by bunkers on either side. The green is protected short with swales and banking to the rear. 17th Hole, Par 3, 219 Yards. A very challenging par 3 given the distance and the green protected by water to right, left and centre. A bunker patrols back left. This isn’t an easy lay-up hole either given a range of trees to the right of the fairway that would prevent easy access to the green. This is a card wrecker! 18th Hole, Par 5, 486 Yards. This is an interesting hole. Please take note of the warning signage on the tee. The 18th on the Woods Course run parallel and the layouts have been swopped to meet the needs of professional tournaments that required the final green to have the greatest viewing gallery possible. This is a knee trembler of a golf hole given that there are usually galleries of previous societies gathered and drinking on the large patio area. The tee shot needs to be accurate to have any chance of an approach with the second shot to a very small and tight green well protected by water to the front and sides. I hit a decent drive, unfortunately as it then allowed me to foolishly think that I could hit the green in regulation with a long iron. A slight pull left had the ball pin high but on the surrounds of the Woods Course with some seriously large trees between myself and the correct green. As I reached my ball the murmer of 50 plus golfers chatting on the patio subsided. I decided to go for the Hail Mary and try a shot that would have had Phil Mickleson backing off. The trees were 30 foot tall and I needed the ball to rise vertically to have any chance. I fully committed and received rapturous applause from my gallery as the ball sailed upwards and over the trees. What they couldn’t see was the fact that the ball bounced once on my green and then leapt into the lake on the other side. From ecstasy to agony in a millisecond. This is an excellent society venue. 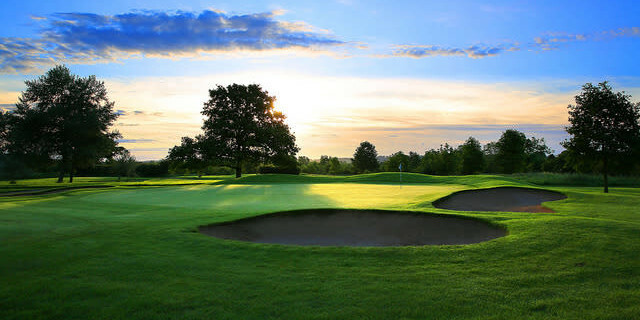 the infrastructure can easily cope with the level of golfers and the staff are very good. The food is excellent, bar prices are a bit steep but many packages offer a discount on the bar bill so ensure that you ask about this at the time of booking. Highly Recommended. Visually I found this to be more interesting than the Lakes as there are some great views and vistas around Lincolnshire. It offers a similar challenge to its brother and provides the same quality greens and surrounds. 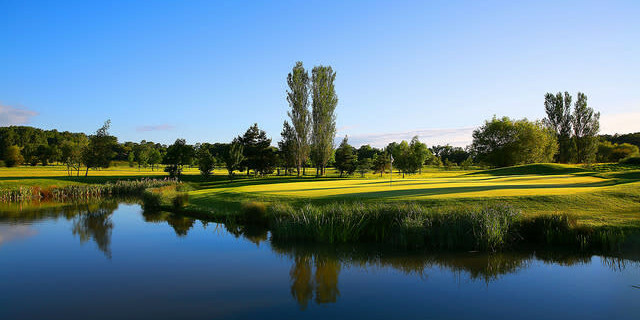 This course envelopes the Lakes and therefore has many more opportunities for hitting the ball out of bounds. The first nine heads eastwards out and back then you cross the clubhouse to take on a southerly direction followed by a swift turn back towards the east. On our round the wind was tame but I would imagine that this can easily become a factor. 2nd Hole, Par 4, 374 Yards. Tight drive protected to the right of the hole in its entirety by out-of-bounds, bunkers left and a sloping fairway make this a challenge requiring an accurate tee shot. A long thin elevated green protected short by two bunkers offers yet another serious challenge. 4th Hole, Par 3, 165 Yards. This is a beautfully framed and constructed hole. The green offers several levels and is a hazard in itself. Do not leave a downhill putt (as I did) as the green is fast and sloping back towards the fairway. 7th Hole, Par 5, 482 Yards. I liked this hole it is a full dog-leg right and requires an accurate tee shot to avoid cross ditches and a bunker. The second shot here is crucial as there are no run in areas to the green as it is too heavily bunkered and will require an aerial shot to access it. 11th Hole, Par 3, 202 Yards. Playing towards the south, this is a cleverly bunkered green. The fairway area has been built up and visually provides a pinching effect making this look even more difficult from the tee. A par here would be welcome on any card. 14th Hole, Par 5, 543 Yards. OOB is present for the entire length of this hole to the left. All other hazards are clearly visible with pinch points indicated by the fairway cut. Spotting this helped greatly when I was placing my shots in order to have any chance of an approach to the green in regulation. 15th Hole, Par 3, 177 Yards. Another good par 3, well framed visually with banking to the rear for any overly exuberant tee shot. Bunkers to the front protect from an off-line shot. 17th Hole, Par 4, 384 Yards. 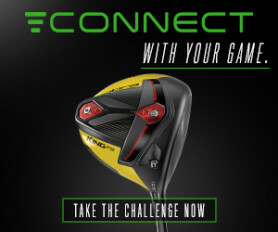 This provides another interesting challenge off the tee. Driver is definitely wet but the cut fairway does not extend to the right so with the benefit of hindsight I would suggest a medium to long iron followed by a similar shot. I played a hybrid off the tee blocked the shot and got myself into all kinds of trouble. This is stroke index 2 for a reason and I would advise a cautious approach to score well. 18th Hole, Par 5, 475 Yards. Aim short of the left bunker for the first, then try and leave a full shot into the green from the next. The green is very well protected by water and bunkers and the proximity of the watching galleries. This a good finishing hole for a society type venue. I liked the closing holes although the shorter holes are well constructed and offer an interesting challenge. The Sunday Driver promotions are very popular and this venue does exactly what is says on the tin. Good food, friendly staff, good courses. I enjoyed the venue as a whole and would happily return with a group of mates for a golf trip away. 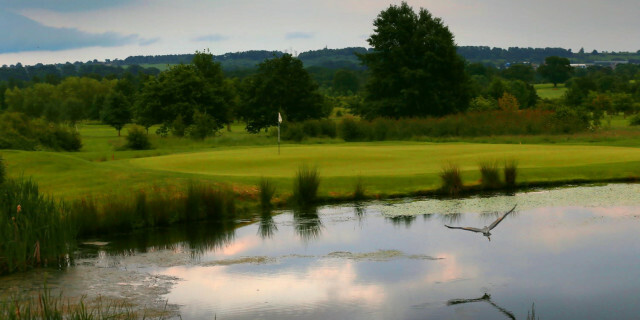 The venue is good enough to be selected to hold a prestigious PGA sanctioned event.